Do you know the border between Peru and Bolivia, near Copacabana lies a beautiful lake known as Lake Titicaca? Further, what would surprise you that, it has floating islands and has people who stay on them. 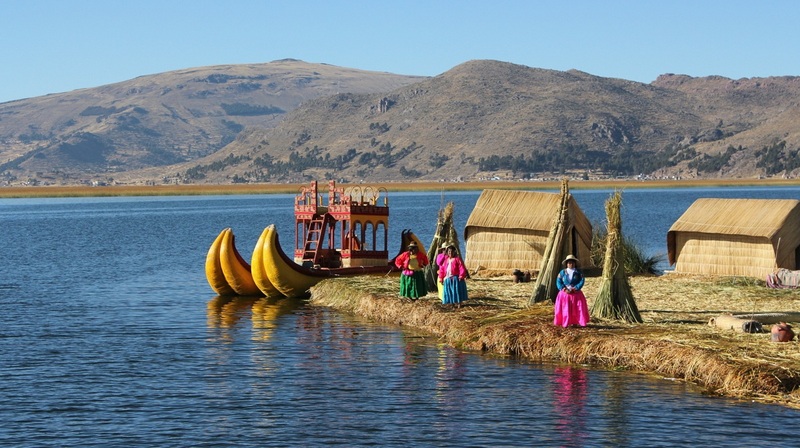 These natives of the floating islands are known as the Uro people or Uros. Let’s explore this destination of South America that is beautiful and mysterious. Lake Titicaca is actually the remains of an ancient inland sea. The crystal clear blue waters with the contrasting brown parched altiplano make a postcard perfect view. This is the largest lake on the South American continent. It is reputed to be the highest navigable lake in the world (about 3810 m/12,500 ft above sea level), extending from southeastern Peru to western Bolivia. The lake is 196 km long with an average width of 56 km. How to Reach Lake Titicaca? 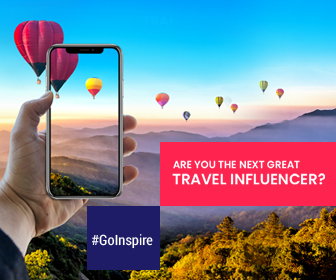 Since the lake is on both Peru and Bolivia, you can travel to the Peruvian side from Puno in Peru and if you wish to see the Bolivian side of Lake Titicaca, visit Copacabana. 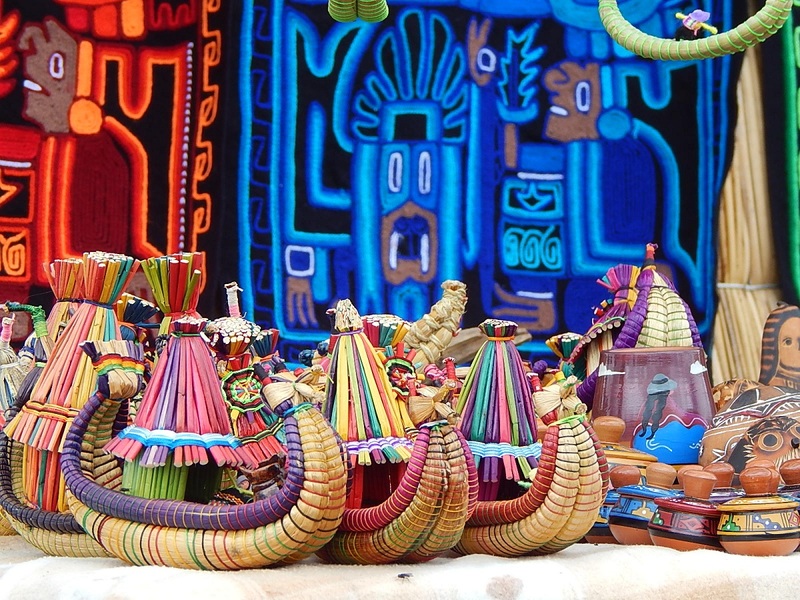 Book your flight to La Paz or Sucre in Bolivia or Lima in Peru. From there, you can get local transportation to Lake Titicaca. The floating islands are made up of reed and the size is maintained by adding fresh reeds to the surface even as the ones on the bottom decompose. The Uros stay on these islands. The Uros use the totora reed, which is available widely along the edges of the lake, to build their homes, their furniture, their boats, and almost everything. The locals also build the island they live in when the reeds disintegrate from the bottom of the islands, which are four to eight feet thick. The reed is soft and spongy and can be easily added to build temporary islands. How fancy, right? The Uros have a traditional lifestyle but the best part is they accept modernity too. Unbelievable but true that some families have motorboats or solar panels, and the main island has a radio station too that plays music for several hours each day. What to See & What to Do on the Floating Islands? Tourists should opt for hike from north to south or vice versa. It takes max. 3 to 4 hours to cover the complete island but the experience is once in a lifetime as you explore the floating islands and experience the lifestyle of the locals who have adjusted to this. Note: Pack lightly and wear shoes for comfortability. 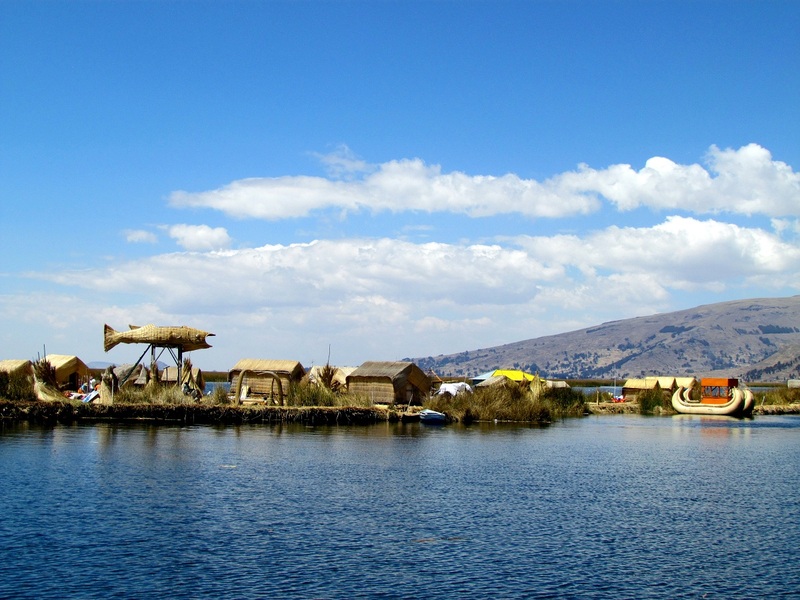 A favorite tourist destination, Lake Titicaca is the center for archaeological and cultural studies. Plan your visit in the summer months but take warm clothing. The days may be pleasantly sunny but the nights can be very cold. Note: Don’t litter around or disrespect the lake as it is a sacred place for the Aymara people who live there.